MEP Modelling MasterClass is a Professional Career Training course designed by Grey Edge for MEP (Mechanical, HVAC, Electrical, Plumbing) Engineers, Designers, Modellers and Draftsmen to represent Real-World situations and be able to deal with various MEP Modelling Projects. This course covers the 2 key MEP BIM modelling and coordination tools required to enhance your career as a well-rounded MEP BIM Modelling Specialist. 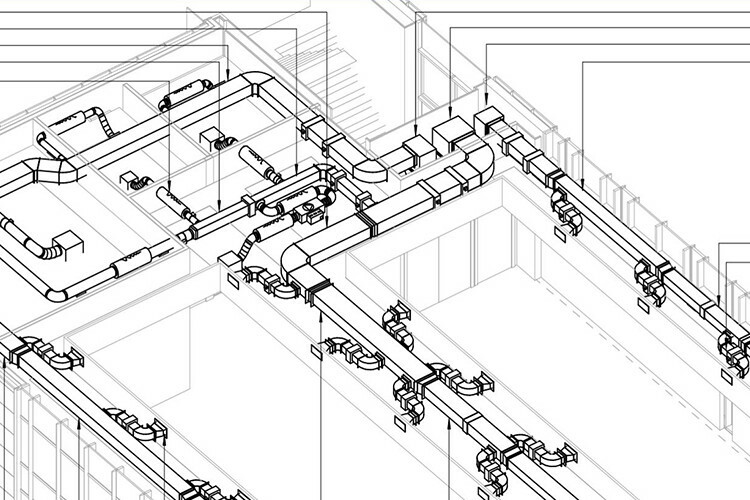 The software(s) covered in this course are – REVIT MEP & Navisworks. Students would get to learn and practice creation of detailed 3D BIM MEP Models with specifications and finally moving towards coordinating the services by identifying the potential problems and streamline the process. Students aspiring a career in MEP can benefit from Grey Edge’s MEP BIM Modelling MasterClass as gain hands on practise working with advanced techniques involved in MEP which helps students in improving their skills by gaining maximum knowledge from this course. Grey Edge has designed this course using a unique hands on project based approach allowing students to gain skills which are relevant and in demand with the industry.